Nestled in the nerve center of Indianapolis’ cultural body that is Fountain Square, the Museum of Psychphonics and Collection of Adjacent Mythologies carefully selects and celebrates an encyclopedic collection of curiosities, mysteries, and the ephemeral evidence of the psychphonic activity pulsating at the edges of our everyday realities. The museum seeks to reveal these outlawed narratives and talismans in order to liberate us towards a higher level of shared consciousness. 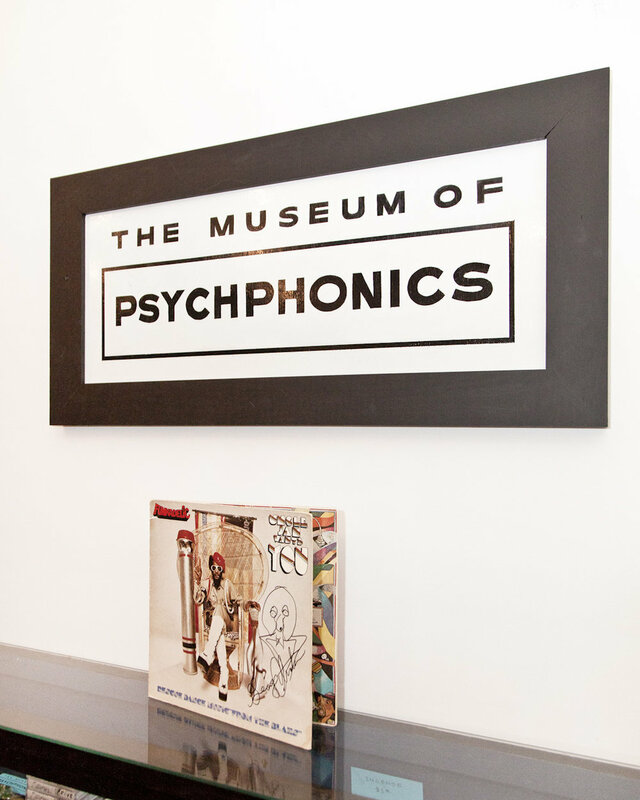 The Museum of Psychphonics gathers the strangeness of the far and near corners of the world and web to create a 4-dimensional theme song for the soul of American underground culture. It is the antithesis to Hard Rock Cafe and Hollywood Walk of Fame. Rather it is the spiritual sibling of the 24-Hour Church of Elvis, the Museum of Jurassic Technology, Marvin Johnson’s Gourd Museum, and of course the ever-persistent siren desert song of "The Thing." With the birth of each new medium, so is the birth of new mythologies, indigenous mythologies for an America looking for mystery and the unexplained as an antidote to the mundane and packaged reality of 21st century consumerism. Dive deep into this labyrinth of perpetual surprise and delight as you are enveloped in the vibrations of the psychphonic activity. The museum received a Best of Indy Award in 2016 from Indianapolis Monthly and has been featured in WIRE Magazine and Atlas Obscura.